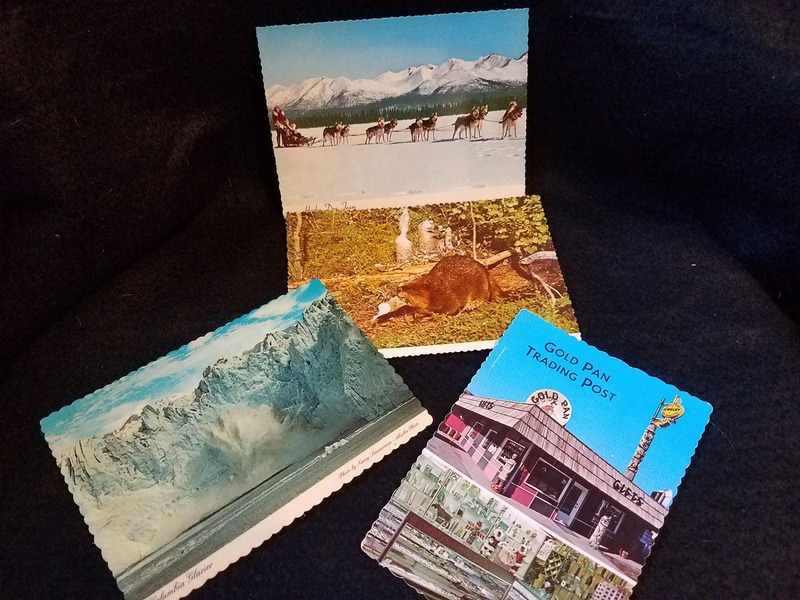 This is a set of 4 postcards featuring a beaver, dog team, Trading Post and Columbia Glacier as well as a package of 10 souvenir views of Anchorage from the 60s. 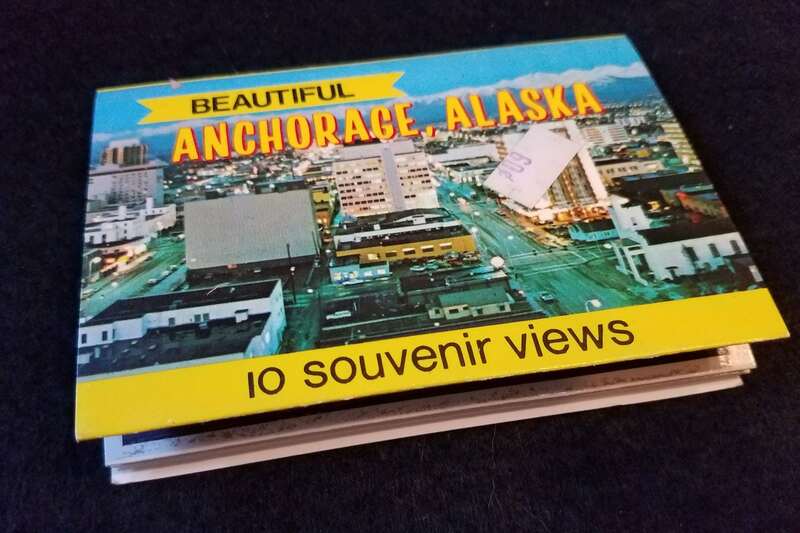 Three of the postcards are by Alaska Joe, the other Arctic Circle Enterprises. 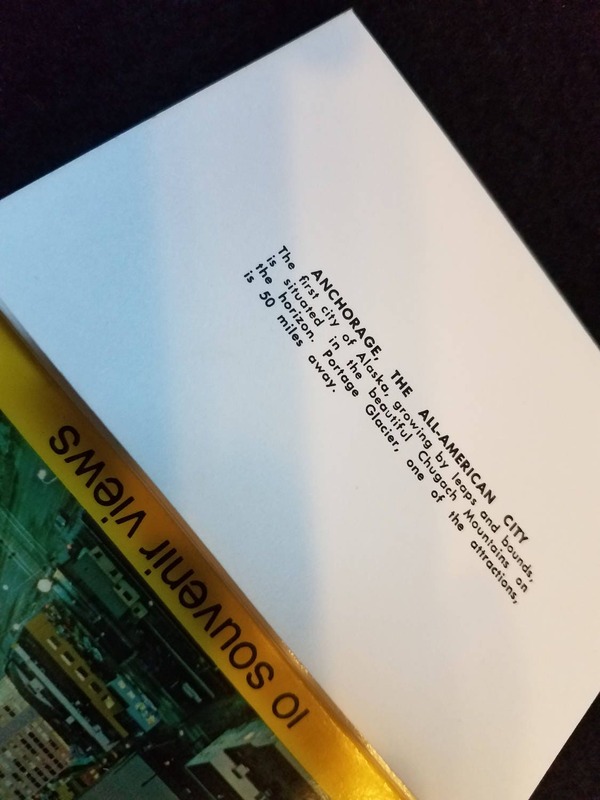 The postcards are 4 X 6 and unused. 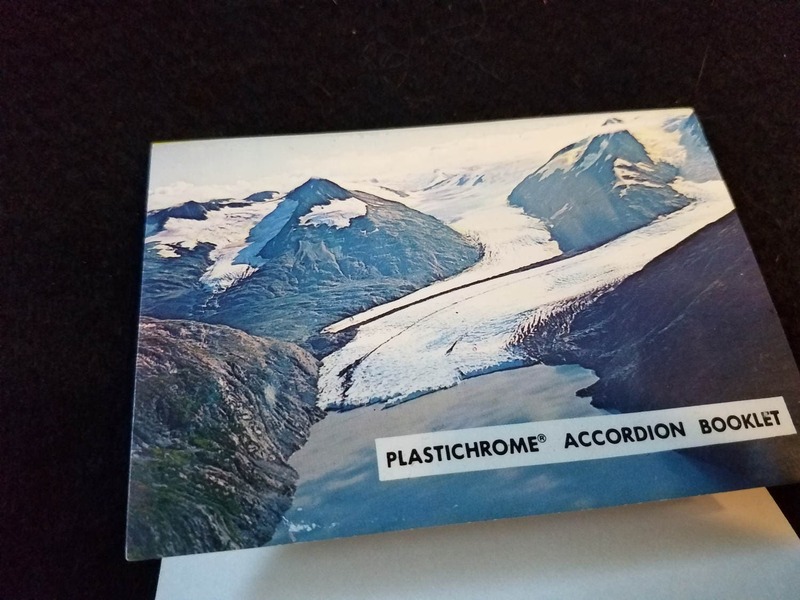 The other is a Portage Glacier, Downtown Anchorage, Fur Rendevous and Sleeping Lady and are 4.25 X 3" folded accordian style with info on the back side. 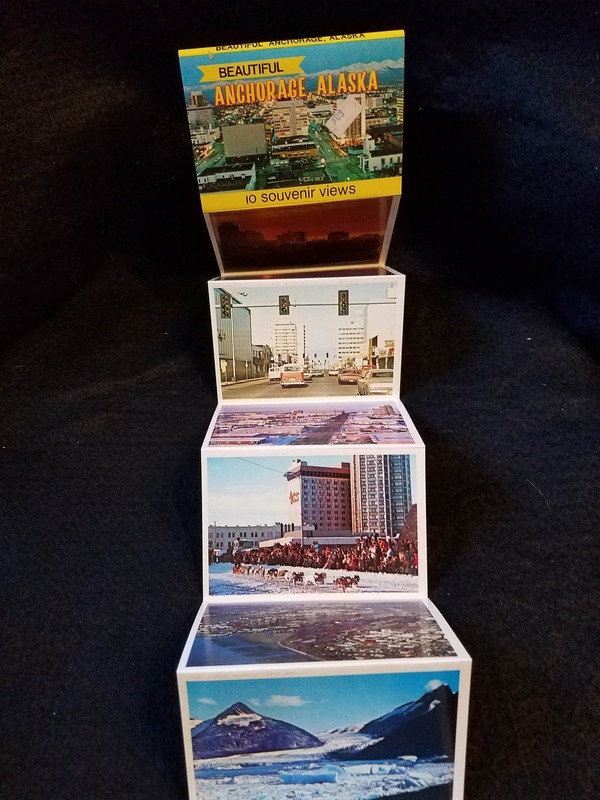 See my blog at www.27seahorses.com under vintage for some ideas what you could do with these treasures.